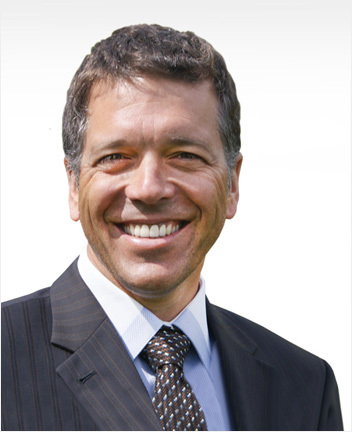 Dr. Patrice Pellerin earned his dental degree from the University of Montreal in 1985. During his studies in dentistry, he received the Senior Student Award from the Academy of General Dentistry and the Certificate of Merit from the American Society of Dentistry for Children. After 4 years of practicing as a general dentist, he went on to pursue his post-graduate degree in Orthodontics at the University of Montreal, graduating in 1991. Since then he has maintained a private practice in Lachine. In 2010, Dr. Pellerin received his Fellowship from the International College of Dentists in recognition for his achievements in dentistry, his contribution to the art and sciences of dentistry and his involvement in the community. Dr. Pellerin lectured at the University of Montreal for 14 years. Since 2001, he lectures internationally to share his practice philosophy on highest aesthetics in every phase of orthodontic treatment and the importance of communication in all aspects of orthodontic practice. Dr. Pellerin is a 3M Unitek Advocate for the use of their aesthetic appliances and has been an active member of the 3M Unitek Advisory Committee for Aesthetic Appliances in Orthodontics since 2003. Dr. Pellerin is a member of the Order of Dentists of Quebec, the American Association of Orthodontists, the Canadian Association of Orthodontists and the Quebec Association of Orthodontists which he served for 7 years leading to his presidency in 1999-2000. Away from the office, Dr. Pellerin is an avid cyclist and triathlete challenging himself to complete long distance races for pleasure and often to raise funds and awareness for different causes (Canadian Cancer Society, Heart and Stroke Foundation). He also likes to travel and cook with his three daughters, Gabrielle, Evelyne, Marie-Alice and his spouse Sheila.